Description Every Irish surname has a unique crest. This commissioned piece has two family crests to celebrate a wedding. 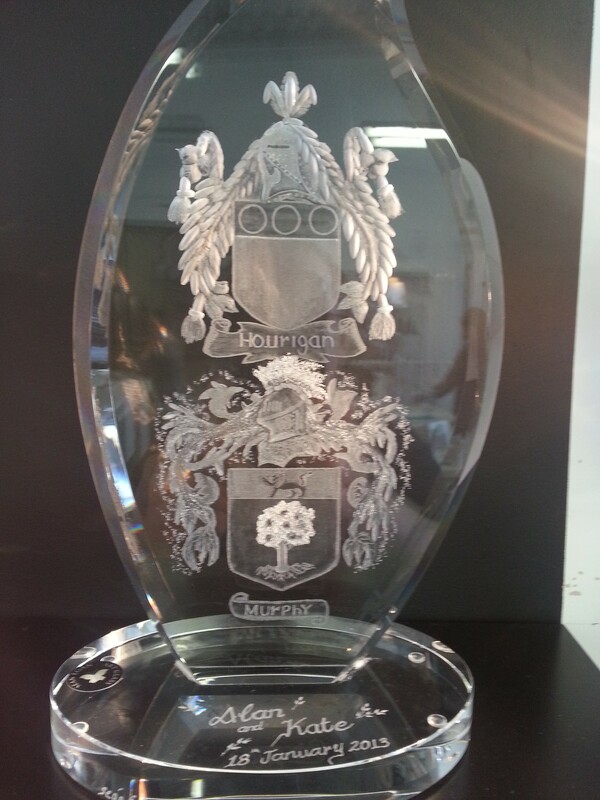 Sean specializes in family crests which can be engraved across a wide range of glass items.